Q: What is Rave Guardian (BU Campus Guardian)? A: The BU Campus Guardian Mobile Safety Application can turn your smartphone into a personal safety device! You can quickly contact university police in cases of an emergency by phone call or text, and you can use the app to dial 9-1-1 when you are off campus. This free app is available through your mobile app store. For additional information, see BU Campus Guardian. Q: If I experience an emergency what is the best way to contact the Baylor Police Department? A: There are several ways at your disposal to contact the Baylor Police Department. On a campus phone you can call 2222 or 911, both methods will connect you directly to the Baylor Police Dispatcher. If you are not using a campus phone or using your cell phone we suggest that you program your phone to speed dial (254) 710-2222. If you dial 911, the Waco Police Department dispatcher will answer and transfer you to the Baylor Police dispatcher. If you do not have a phone at your disposal you can use one of the several call boxes that are located across campus or use an emergency phone that are located in all the elevators on campus. Q:Where is the Baylor Police Department located? A: The Baylor Police Department is located on the first floor of the Speight Plaza parking facility at South 4th and Speight Avenue. The street address is 1521 South 4th Street. Q: What is the jurisdiction of the Baylor Police Department? A: Although the Baylor Police Department has county wide jurisdiction (McLennan County), the primary jurisdiction of the Baylor police is all properties owned and under the control of Baylor University. 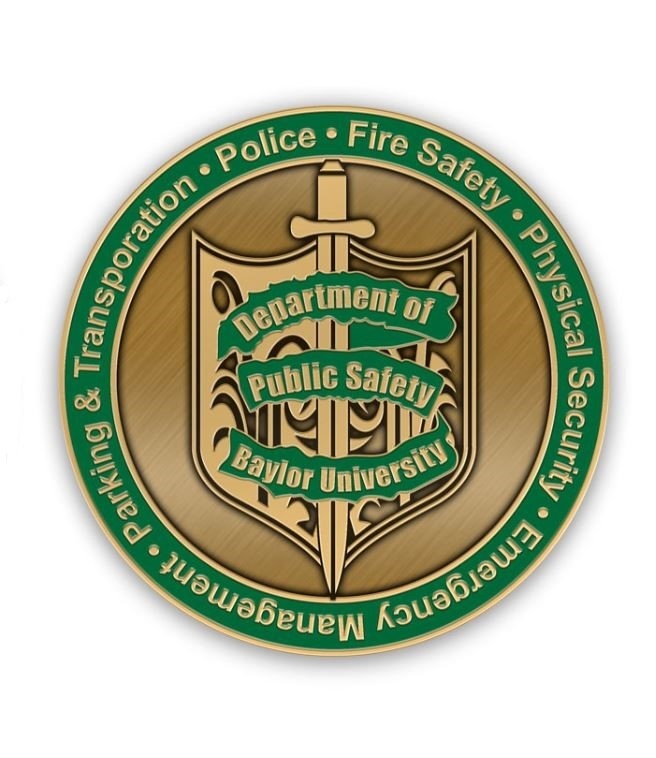 Baylor police, in cooperation with the Waco Police Department, respond to "crisis or life threatening situations" in the residential areas surrounding the campus and elsewhere as necessary. Q: Can Baylor police enforce traffic laws and other criminal laws off of the Baylor campus? A: Yes. All Baylor commissioned police officers are licensed and certified by the Texas Commission on Law Enforcement and are thereby recognized by the State of Texas as peace officers. Section 51.212 of the Texas Education Code affords the Baylor Police Department Police Officers the full powers, privileges and immunities of a peace officer throughout McLennan County, therefore Baylor police officers are authorized to enforce the Texas Transportation code, the Texas Penal Code and other criminal statutes while off campus pursuant to the Texas Code of Criminal Procedures.